Experienced hot tub and swim spa distributor Catalina Spas Ltd has adopted the new name of Aqua Design & Leisure to ring fence all of its activities ahead of appearing as an exhibitor at SPATEX. Salisbury-based Catalina Spas Ltd Managing Director Stephen Crabb, who is celebrating the 20th anniversary of his family-run distribution outfit being associated with the USA hot tub and swim spa brand, is returning following a short break from exhibiting at SPATEX, which commences at the end of this month on Tuesday, January 31, and running to Thursday, February 2, in the Ericsson Exhibition Hall of the Ricoh Arena in Coventry. Stephen and his exhibition team will now be using the high-profile exhibition platform, to highlight the new Aqua Design & Leisure name that has been adopted to cover all of the company’s respective distribution services, products, including hot tub and swim spa brands, as well as various sales and marketing initiatives. “Due to our expanding product portfolio and multiple brands available from us for 2017 we have grouped all our brands under one big roof,” said Stephen. “We’re proud to be entering our 20th year of continuous trading, our success and longevity is based on the same production principals and customer service. Ahead of the 21st edition of wet leisure showcase Stephen has revealed that the Florida-based Dream Maker range that includes the WhatSpa? Best Buy Award-winning Dream 600L, pictured, which he has successfully launched into the British market, is being boosted with new additions this year. These include an all-seater version of the 600L, in the form of the Dream 700S. Following the Catalina Spas brand acquisition by mid-range hot tub specialist LPI Inc, production of new models will be rolled out at a new 318,000sq ft facility in Tennessee after nearly four decades of manufacturing in California. Stephen reported that the expansion of the Catalina Spas range will now include many upgrades as well as some revolutionary new models. 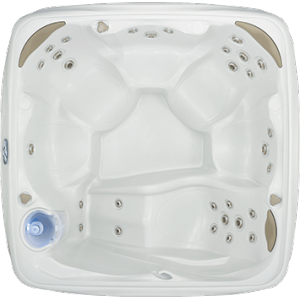 There will also be additional entry-level acrylic hot tub models for retailers to choose from. To book stand space for SPATEX contact the SPATEX team via email: helen@spatex.co.uk or michele@spatex.co.uk or telephone directly on: +44 (0) 1264 358558. Filed Under: Event news, Events & expos, New products, News, News & views, Products, Retailer interviews Tagged With: Catalina Spas, Dream Maker Spas, hot tub dealers, SPATEX, WhatSpa?